It stands in its own private grounds and has two paddocks, about five acres. Agents Verity Frearson say Broom House is a beautiful and comfortable family home offering extensive accommodation, in good order throughout, with many period features. 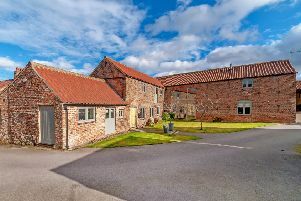 It is in a village a couple of miles south of Ripon and has views over its land. For details, contact Verity Frearson on 01423 562531 or email sales@verityfrearson.co.uk.